John Burroughs, J.D., Ph.D., is Executive Director of the New York-based Lawyers Committee on Nuclear Policy, the UN Office of International Association of Lawyers Against Nuclear Arms. He represents LCNP in Nuclear Non-Proliferation Treaty review proceedings, the United Nations, and other international forums. Dr. Burroughs is co-editor and contributor, Nuclear Disorder or Cooperative Security? (2007); co-editor and contributor, Rule of Power or Rule of Law? An Assessment of U.S. Policies and Actions Regarding Security-Related Treaties (2003); and author of The Legality of Threat or Use of Nuclear Weapons: A Guide to the Historic Opinion of the International Court of Justice (1998). He has additionally published articles and op-eds in journals and newspapers including the Bulletin of the Atomic Scientists, the World Policy Journal, and Newsday. Dr. Burroughs also is an adjunct professor of international law at Rutgers Law School, Newark. Through the Middle Powers Initiative, eight international non-governmental organizations (the Albert Schweitzer Foundation, the Global Security Institute, the International Association of Lawyers against Nuclear Arms, the International Network of Engineers and Scientists for Global Responsibility, the International Peace Bureau, the International Physicians for the Prevention of Nuclear War, the Nuclear Age Peace Foundation, and the Women’s International League for Peace and Freedom), work with middle power governments to advance nuclear disarmament and non-proliferation through immediate practical steps that reduce nuclear dangers and the commencement of negotiations to eliminate nuclear weapons. MPI is guided by an International Steering Committee, chaired by Dr. Tadatoshi Akiba, the former Mayor of Hiroshima, Japan. The most serious problem arising from major powers’ reliance on nuclear weapons is that one day, directly or indirectly, that posture probably will result in nuclear detonations as acts of state or non-state terrorism. 65-year record of nuclear non-use be extended forever,” declares the U.S. Nuclear Posture Review Report (NPR) released April 6, 2010.1 “All States parties commit to pursue policies that are fully compatible with the Treaty and the objective of achieving a world without nuclear weapons.”2 This is a provision of the Action Plan on Nuclear Disarmament included in the Final Document adopted May 28 by the 2010 Nuclear Non-Proliferation Treaty (NPT) Review Conference.3 It also is U.S. policy. The United States is a party to the NPT; the Action Plan was adopted by consensus, with the United States playing a leading role in its negotiation; and the commitment reflects President Barack Obama’s speech in Prague on April 5, 2009. Sergio de Queiroz Duarte was the United Nations High Representative for Disarmament Affairs, with the United Nations Office for Disarmament Affairs. He was appointed by UN Secretary-General Ban Ki-moon in July 2007 and retired in February 2012. Ambassador Duarte served the Brazilian Foreign Service for 48 years. He was the Ambassador of Brazil in a number of countries, including Austria, Croatia, Slovakia and China In 2005, he was the President of the 2005 Seventh Review Conference of the Parties to the Treaty on the Non-Proliferation of Nuclear Weapons. Since the mid-1990’s progress in multilateral efforts in the field of disarmament has eluded the international community. In the past, the Geneva-based Conference on Disarmament was successful in negotiating important international instruments such as the Chemical Weapons Convention (CWC) and the Comprehensive Test Ban Treaty (CTBT). It was also at the Conference’s predecessor organ, the Eighteen Nation Disarmament Committee, that a draft Treaty on the Non-proliferation of Nuclear Weapons (NPT) was discussed before being sent for endorsement by the United Nations General Assembly and eventually becoming the cornerstone of the internatioal non-proliferation regime. For nearly two decades now, however, the Conference, which was established in 1978 by the I Special Session of the United Nations General Assembly devoted to disarmament with a specific negotiating mandate, has been unable to agree even on a program of work. In recent years, results of the yearly sessions of the I Committee of the General Assembly and the United Nations Disarmament Commission have been equally disappointing. No agreement has been possible on the major items under consideration by these multilateral organs. By contrast, efforts to curb the spread of nuclear weapons can be generally considered quite satisfactory. After such weapons started to proliferate in 1945 only nine States, to date, have acquired autonomous atomic armament. One nation voluntarily dismantled its nuclear weapons and three others renounced the nuclear military option and divested themselves of their arsenals.All four joined the NPT as non-nuclear weapon States. So far, non-nuclear Parties to the Treaty on the non-proliferation of nuclear weapons have complied with their obligations under that instrument. Since the Democratic Peoples’s Republic of Korea announced its withdrawal from the NPT and conducted nuclear test explosions, no other nation followed that path. Only four States are currently not Party to the NPT. Nuclear weapon free zones have been established in large regions of the world, encompassing 113 States, plus Mongolia. Clearly, efforts to achieve the elimination of existing nuclear weapons have been lagging painfully behind. The two States that possess the largest arsenals announced reductions in their nuclear forces. The latest such cuts should be completed in 2018, although there is no independent verification system to confirm the results reported. At the same time, however, they continue to devote large financial and technological resources to “modernize” their weapons and refuse to accept irreversible, verifiable and legally binding obligations to eliminate nuclear armament. The lesser possessors are also reticent about engaging in similar commitments and all nine nuclear-weapon States continue to argue that their atomic armament is essential for their own security. Some progress has been achieved in securing nuclear materials in order to prevent their acquisition and use by non-State actors, although much additional work is needed in this direction. Meanwhile, civil society organizations are stepping up efforts to highlight the catastrophic humanitarian consequences of any nuclear detonations as a basis for their demand for an immediate ban on the production, possession and use of atomic weapons. Widespread support for these efforts, however, was dismissed as a “distraction” by nuclear-armed States, which continue to advocate a “step-by-step” approach mainly through proposals such as a “cut-off” on the production of nuclear material for weapons purposes by non-nuclear nations, while their own large stocks would be untouched. Many non-nuclear States argue that such a measure would be irrelevant and redundant, since that production is aready prohibited to them by the NPT, under verification by the IAEA. In their view, a “cut-off” as proposed would simply widen the gulf between “haves” and “have nots” and further restrict their civil nuclear industry with no gain for nuclear disarmament. Despite the auspicious adoption of a Plan of Action at the 2010 Review Conference of the NPT, prospects for the forthcoming gathering of the Parties of that Treaty in 2015 seem quite bleak. As the deadlock in multilateral disarmament organs continues, no headway has been made onthe key issue of the convening of a conference on the establishment of a zone free of weapons of mass destruction in the Middle East. Due to the deterioration of the political situation in that region there is little hope that a breakthrough could be achieved by the time the Parties to the NPT meet in April-May next year. At the same time, events in the Ukraine and its borders with Russia brought about a serious deterioration of the political climate between the West and Moscow, drastically compromising the possibility of further progress in bilateral arms-reducing agreements, let alone in multilateral forums. The prospect of an accelerated arms race in Northeast Asia and the Pacific also worries observers and governments alike. Concern about this situation seems to have prompted a reputed institution devoted to studies on non-proliferation and disarmament matters to open a public contest for fresh suggestions and proposals that may facilitate progress. It is doubtful that any new, original and untried ideas will come out of that contest, but it is worth the effort. In any case, it is fitting, in this context, to recall the words of former United States General Lee Butler, head of the US strategic air command (Stratcom) whose mission is to control nuclear weapons and strategy. Twenty years ago, he wrote that mankind had so far survived the nuclear era “by some combination of skill, luck, and divine intervention, and I suspect the latter in greatest proportion.” These words sound frighteningly true to-day. The current stagnation in disarmament efforts described above carries the risk of an increased arms race and further proliferation of weapons of mass destruction. The international community must redouble its efforts to avert such dangers. The human race cannot longer be held hostage to doctrines of nuclear deterrence that contemplate the use of such means of mass destruction even against non-nuclear States. It is high time for mankind to start relying on common sense rather than on divine help. 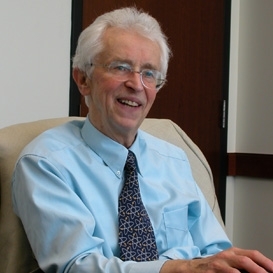 Siegfried S. Hecker is a professor (research) in the Department of Management Science and Engineering and a senior fellow at CISAC and FSI. He is also an emeritus director of Los Alamos National Laboratory. He was co-director of CISAC from 2007-2012. Hecker currently is on sabbatical working on a book project and will return to Stanford in the summer of 2013 to resume his research and teaching. He is also an emeritus director of Los Alamos National Laboratory. A PERSPECTIVE ON NORTH KOREA AND NUCLEAR WEAPONS Here is a Q&A with Stanford Professor Siegfried Hecker – former CISAC co-director and now a senior fellow at CISAC and the Freeman Spogli Institute – Hecker has been invited seven times to North Korea and he made international headlines when he returned from his last trip in November 2010 and announced the isolated North Asia nation had built a modern uranium enrichment facility. Q: How concerned should we be about North Korea’s announcement that it will restart all its nuclear facilities? Does this fundamentally change the threat imposed by Pyongyang? + Can the North Korean nuclear crisis be resolved? I thank Kyungnam University and the Friedrich Naumann Foundation for inviting me to present my views on the situation in North Korea. My area of expertise is in the nuclear arena and that is primarily what I will address in my paper. However, it is not possible to solve the nuclear crisis without addressing the underlying fundamental political issues, so I will offer my views, as a non-expert in this area, at the outset. A former director of Los Alamos National Laboratory offers a first-person perspective on the important contributions scientists can make toward improving the safety and security of nuclear materials and reducing the global nuclear dangers in an evolving world. The first publicly available overhead imagery that suggested North Korea was constructing a new nuclear reactor at its Yongbyon complex appeared on November 4, 2010. Charles L. Pritchard, a former special envoy for negotiations with North Korea and the president of the Korea Economic Institute, along with a delegation from the institute provided the first confirmation of this construction after a visit to Yongbyon that week. The following week, Yongbyon officials told Stanford University’s John W. Lewis and two authors of this article (Hecker and Carlin) that the reactor was designed to be an experimental pressurized light water reactor (100 megawatts thermal, or 25-30 megawatts electric) to be fueled with lowenriched uranium fuel produced in a newly constructed centrifuge plant at the nearby Yongbyon fuel fabrication plant. The new reactor is being constructed on the former site of a cooling tower for a now-disabled, 5-megawatt electric, gas-cooled, graphite-moderated reactor that had been used to produce plutonium; the tower was demolished in 2008 as a step toward an eventual denuclearization agreement. William Lanouette is a writer and policy analyst who has specialized in the interplay between science and politics. 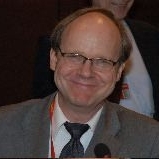 His doctoral thesis (at the London School of Economics) studied the use and abuse of scientific information by American and British legislators – a topic that prepared him well for work as a Senior Analyst in energy and science issues at the U.S. Government Accountability Office (1991-2006). Before joining GAO, he was a reporter for Newsweek, a writer for The National Observerand National Journal, and Washington Correspondent for The Bulletin of the Atomic Scientists – with freelance pieces for The Atlantic, The Economist, and Scientific American. Bill has written about nuclear weapons and nuclear power since he covered the SALT talks in 1969, and is the author of Genius in the Shadows: A Biography of Leo Szilard, The Man Behind the Bomb. for Peace Newsletter 18, no. 2 (1998). Since the end of the Cold War, the world has fallen into a state of nuclear complacency. Following the demise of the Soviet Union, with the risk of global nuclear war seemingly reduced to zero, people ceased being concerned with nuclear weapons. While it is true that the end of the Cold War has given us “the gift of time”1 to find a long-term solution to the nuclear predicament, it is ironically precisely because we have this time that motivation to do something about nuclear weapons has all but evaporated. Of course, there were many people who, like Schell, have warned that the appearance of nuclear safety was an illusion. They argue that it is the very existence of the weapons in a world of antagonistic nation-states, not the particular superpower rivalry of the Cold War, that is the real problem. But the world has not been disposed to listen. (New York: Semenenko Foundation, 2006). If a nation cannot resort to nuclear weapons without risking its own destruction, how can it support its interests in a world of sovereign nations which is ruled by violence as the last resort? International relations theory has long been divided between realists, who, roughly speaking, believe that a nationÕs foreign policy should not be governed by moral considerations, and liberals (or idealists), who believe that morality should play some role in foreign policy. As could be expected, these two groups reacted differently, in the period following 1945, to the advent of nuclear weapons. Liberals tended to focus on the moral problems raised by nuclear weapons, resulting from the fact that the use of them would inevitably kill large numbers of civilians. Realists tended to view nuclear weapons as just another weapon, and sought to develop strategies for incorporating the new devices into our thinking about the use of military force. If we look back over twenty years to the mid 1980s, we find a rich and wide-ranging debate over nuclear ethics. Spurred by the 1983 pastoral letter of the U.S. Catholic bishops, the debate engaged the general public and the military, as well as the academy, to an extent unprecedented in the nuclear age. Despite the vigor and breadth of the debate, however, it broke little new ground. Most of the major issues had already been addressed in the previous great nuclear debate, that of the late 1960s. Central to both debates were discussions of the moral acceptability of a strategic posture based on mutual assured destruction (MAD), the relative moral and strategic merits of countervalue and counterforce targeting, and the moral implications of strategic defense. Between the times of the two debates, much had changed technologically in nuclear weapons and their delivery systems, yet the moral issues did not change. The moral issues of nuclear weapons arose with the advent of nuclear technology and its development in the first twenty years of the nuclear age, but they remained largely unaltered in the face of further technological innovation. The use of weapons of mass destruction (WMD) in warfare is not new, and may be as old as warfare itself. Historical evidence suggests that the use of biological weapons may be at least 3300 years old. Ancient texts have recently provided evidence that in the Middle East the Hittites around 1320 BCE sent rams infected with the bacterial disease tularemia (rabbit fever) to their enemies, the Arzawans, after which an outbreak of tularemia ravaged the Arzawan community. Although the evidence of intentionality is not completely clear, one may reasonably speculate that the Hittites released the rams to the Azrawans in order to infect them.2 If so, this would be the earliest documented use of biological weapons in war. Joseph Masco, Author of The Nuclear Borderlands:The Manhattan Project in Post-Cold War New Mexico, looked at the nuclear age by exploring how the end of the Cold War challenged concepts of security and risk for the diverse communities working in and neighboring Los Alamos National Laboratory in New Mexico. His current work examines the evolution of the national security state in the United States, with a particular focus on the interplay between affect, technology, and threat perception within a national public sphere. He is an Associate Professor of Anthropology and of the Social Sciences at the University of Chicago where he writes and teaches courses on science and technology, U.S. national security culture, political ecology, mass media and critical theory. What are the long-term psychological consequences of living within a nuclear culture? What fears are now so ingrained in American life that we can’t seem to live without them? How, in other words, has nuclear fear remade everyday American society as permanently insecure, even as the United States has become the most powerful military state on earth? 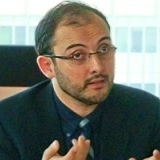 Benoît Pelopidas is a postdoctoral fellow at the Center for International Security and Cooperation (CISAC) at Stanford University. He received his Ph.D. in political science from Sciences Po (Paris) and the University of Geneva in 2010 and was a postdoctoral fellow at the James Martin Center for Nonproliferation Studies in 2010-2011. Since 2005, he has been teaching international relations at Sciences Po (Paris), the University of Geneva and the Monterey Institute of International Studies (Graduate School of International Policy and Management). In 2010, he won the “Outstanding Student Essay Prize” from the Doreen and Jim McElvany Nonproliferation Essay Competition and in 2011, he was awarded the “Best Graduate Paper 2010” from the International Security Studies Section of the International Studies Association. Also in 2011, he won the SNIS Award 2010 for the Best Thesis in International Studies from the Swiss Network for International Studies. He published When Empire Meets Nationalism: Power Politics in the US and Russia (with Didier Chaudet and Florent Parmentier; Ashgate, 2009) as well as articles in The Nonproliferation Review, the European Journal of Social Sciences, the Swiss Political Science Review, and the French Yearbook of International Relations. His research focuses on epistemic communities in international security, renunciation of nuclear weapons as a historical possibility, the uses of nuclear history and memory and French nuclear policies. His Giving Up Nuclear Weapons Ambitions is forthcoming with Sciences Po University Press in 2012. The so-called “Cuban missile crisis” is turning 52, but it is certainly not forgotten; on the contrary, almost everyone seems to have an opinion on it. It even made it into a clBenoit_Pelopidas_pictureever super-hero blockbuster, X-Men First Class in 2011. At a time when forgetting is a threat to global nuclear safety and security, this widespread memorialization is unduly reassuring. For sure the crisis appears as a special event worth learning from. But memory is not enough. Paradoxically, when an event reaches such iconic status, it can have a dangerous effect. It gives the impression that we have all learned what we needed to learn from it, while maintaining the possibility of divergent interpretations and lessons. If we expect to learn how to survive future nuclear crises from the experience of 1962, we should acknowledge that the paradoxical effects of such memorialization are dangerous. It creates the twin illusion of unanimity and appropriateness of the lessons learned from the crisis, and perpetuates what made the crisis dangerous in the first place: the overconfidence that the leadership at the time had about both their knowledge and the sufficiency of that knowledge to allow successful management of a nuclear crisis. Atomic Obsession: Nuclear Alarmism from Hiroshima to Al Qaeda, by John Mueller. Oxford University Press, 2009. Les armes nucle´aires: Mythes et re´alite´s [Nuclear Weapons: Myths and Realities], by Georges Le Guelte. Actes Sud, 2009. 390 pages, t25. At first glance, John Mueller’s Atomic Obsession: Nuclear Alarmism from Hiroshima to Al Qaeda has little in common with Georges Le Guelte’s Les armes nucle´aires: Mythes et re´alite´s [Nuclear Weapons: Myths and Realities]. In one book, a renowned professor provides an analytical recollection of the excessive emphasis that U.S. politics and media have given to nuclear weapons since 1945, an emphasis that was at best ineffective, at worse counterproductive, and in any case cost a lot of money. Mueller’s critique strikes tous azimuts (in every direction): assessing the destructive capacity of nuclear weapons, their desirability, and the probability of their proliferation to states and non-state actors; accounting for their role in history, their military utility as weapons, and as a deterrent; and evaluating the efficacy of international sanctions, treaties, and agreements to prevent the spread of nuclear weapons. Mueller’s book is fundamentally based on the idea that definitions of ‘‘worst case’’ usually do not pay enough attention to effective casualties, resulting in an overestimation in the assessment of an insurance policy. Chatham House has been the home of the Royal Institute of International Affairs for more than ninety years. Our mission is to be a world-leading source of independent analysis, informed debate and influential ideas on how to build a prosperous and secure world for all. By examining via a case study the political authority of US proliferation experts since the 1960s, this article contributes to nuclear weapons proliferation studies and to the growing literature on the role of expertise in democracies. First, it argues that policy choices are determined by an understanding of history and that approaching nuclear history as a history of nuclear weapons proliferation is a presumption shared by both US experts and policy makers. Second, it shows that this understanding of history, relying on the metaphorical use of the term proliferation (which was imported from biology), strongly distorts the facts. Third, the article shows that nuclear experts are plagued by a conservative bias as a result of this use of the proliferation metaphor. Instead of challenging the faulty proliferation narrative, most experts have backed it without question. Fourth, the legitimacy that experts lend to this view of history has important political effects: it provides an authoritative assessment of past policies and limits the possibility of political innovation. Policy initiatives tend to be restricted to changes in speed or intensity. The article suggests three changes that might restore room for informed political innovation in nuclear weapons policies. KEYWORDS: nuclear weapons; proliferation; disarmament; nuclear history and historians; theory; experts Experts do matter in nuclear policy. Because of the complexities of nuclear physics and especially rocket science, experts have occupied a privileged place in the nuclear debate. Physicists were the first experts in the nuclear realm during World War II; then came the ‘‘strategists’’ and ‘‘economists’’ from the RAND Corporation and the University of Chicago whom Fred Kaplan tellingly labeled the ‘‘strategists in power.’’1 This study focuses on nuclear experts in the United States because their influence has been particularly strong. Scholars and experts have been uniquely involved in the shaping of US nuclear policy as well as weapons design since the beginning of the nuclear age. Moreover, in the United States, experts sometimes become policy makers. Randy Rydell is Senior Political Affairs Officer in the Office of Ms. Angela Kane, the High Representative for Disarmament Affairs at the United Nations. He served from January 2005 to June 2006 as Senior Counsellor and Report Director of the Weapons of Mass Destruction Commission (Blix Commission) and Senior Fellow at the Arms Control Association in Washington, D.C. He joined the UN secretariat in 1998, where has served as an adviser to Under-Secretary-General Jayantha Dhanapala and his successors, Ambassadors Nobuyasu Abe and Nobuaki Tanaka. Rydell worked for Senator John Glenn between 1987 and 1998 as a member of the Professional Staff of the Committee on Governmental Affairs of the United States Senate. He assisted in the drafting and subsequent enactment of the Nuclear Proliferation Prevention Act of 1994 and other legislation. He also served as a staff member of the Senate’s Arms Control Observer Group. He was an international political analyst at the Lawrence Livermore National Laboratory from 1980 to 1986, where he studied the problem of the global spread of nuclear weapons. He worked as a post-doctoral fellow at the Center for Science and International Affairs at the John F. Kennedy School of Government at Harvard University from 1979 to 1980. He received a B.A. in Government and Foreign Affairs from the University of Virginia (1973), an M.Sc. in International Relations at the London School of Economics and Political Science (1974), an M.A. in Political Science from Princeton University (1977), and a Ph. D. in Political Science from Princeton (1980). Alyn Ware, a former kindergarten teacher and peace educator from New Zealand, is an international consultant on nuclear disarmament and the global coordinator of Paliamentarians for Nuclear Non-Proliferation and Disarmament. A winner of the 2009 Right Livelihood Award (sometimes called the ‘Alternative Nobel Peace Prize’), which rated him “one of the world’s most effective peace workers,” Ware was instrumental in a World Court case which affirmed the general illegality of nuclear weapons, has drafted nuclear disarmament resolutions adopted by the United Nations and coordinated the development of the Model Nuclear Weapons Convention, now being promoted by the UN Secretary-General. November 6, 1995, Lijon Eknilang, a quiet, unassuming woman from the Pacific island of Rongelap, made what is probably the longest trip in the world for a court appearance. It took her more than two days travelling to reach the International Court of Justice in The Hague, the highest judicial body in the world. She relayed to the 14 officiating judges horrifying testimony about the effects of nuclear testing in the Pacific. Sixty-five years after the United Nations General Assembly first called for the elimination of nuclear weapons, US President Barack Obama reignited the vision for a nuclear-weapon-free world, but added that realizing such a vision might not happen in his lifetime.